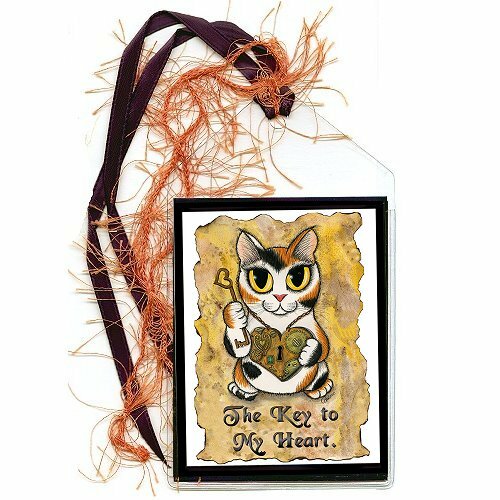 Spring Showers Fairy Cat - Ring - A tiny colorful fairy cat flies above the flowers near a spr..
Steampunk Valentine Cat -Note Card- "The Key To My Heart" A chubby little calico steampunk cat weari..
Steampunk Valentine Cat - Keychain - "The Key To My Heart" A chubby little calico steampunk cat wear..
Steampunk Valentine Cat - Magnet - "The Key To My Heart" A chubby little calico steampunk cat wearin..
Steampunk Valentine Cat - Ring - "The Key To My Heart" A chubby little calico steampunk cat we..
Steampunk Valentine Cat - Bookmark - "The Key To My Heart" A chubby little calico steampunk cat wearing her Victorian heart locket. 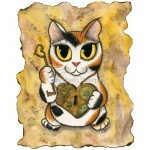 In her hand a skeleton key, she's giving you the key to her heart. 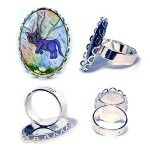 Spring Showers Fairy Cat - Ring - A tiny colorful fairy cat flies above the flowers near a spring shower's rainbow.Be sure to check out the Rela..
Steampunk Valentine Cat -Note Card- "The Key To My Heart" A chubby little calico steampunk cat wearing her Victorian heart locket. 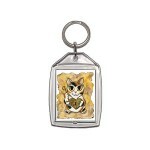 In her hand a skele..
Steampunk Valentine Cat - Keychain - "The Key To My Heart" A chubby little calico steampunk cat wearing her Victorian heart locket. In her hand a skel..
Steampunk Valentine Cat - Magnet - "The Key To My Heart" A chubby little calico steampunk cat wearing her Victorian heart locket. 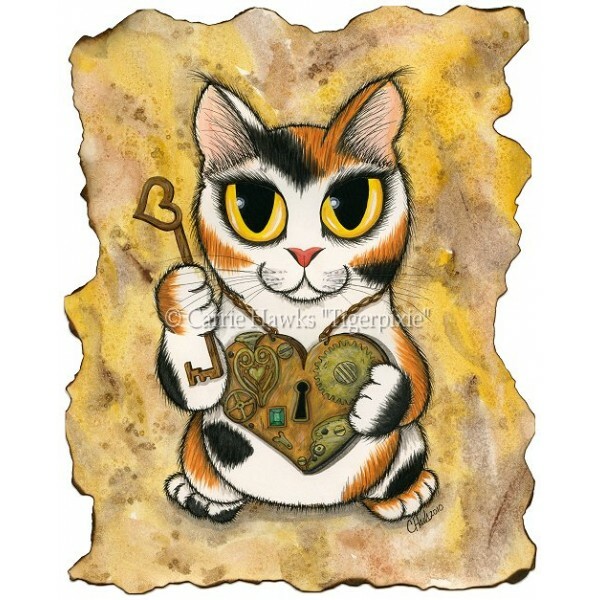 In her hand a skelet..
Steampunk Valentine Cat - Ring - "The Key To My Heart" A chubby little calico steampunk cat wearing her Victorian heart locket. 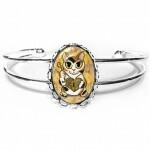 In her hand a sk..
Steampunk Valentine Cat - Cuffed Bracelet - "The Key To My Heart" A chubby little calico steampunk cat wearing her Victorian heart locket. 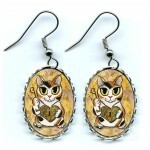 In her hand..
Steampunk Valentine Cat - Earrings - "The Key To My Heart" A chubby little calico steampunk cat wearing her Victorian heart locket. 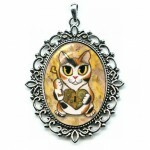 In her hand a skel..
Steampunk Valentine Cat - Cameo Necklace - "The Key To My Heart" A chubby little calico steampunk cat wearing her Victorian heart locket. 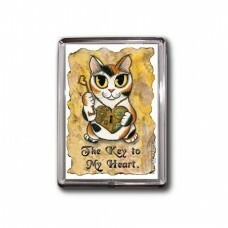 In her..
Steampunk Valentine Cat - Prints - "The Key To My Heart" A chubby little calico steampunk cat wearing her Victorian heart locket. 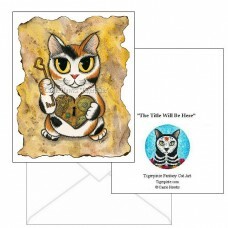 In her hand a skelet..
Steampunk Valentine Cat - Limited Edition Canvas Prints - "The Key To My Heart" A chubby little calico steampunk cat wearing her Victorian heart locke..